At Kraft Davies, PLLC, our award-winning lawyers regularly handle claims against vessel owners for wrongful failure to pay maintenance, cure, and unearned wages. If you are injured or become ill on a vessel and require medical treatment, you are entitled to maintenance and cure benefits from your maritime employer. If you have questions about your entitlement to maintenance and cure benefits, contact one of our experienced maritime lawyers for a free consultation at 800-448-8000. Maintenance is a daily stipend to support a seaman while he or she recovers from an injury or illness sustained while in the service of the vessel. In order to establish a right to these benefits, the seaman need only show: (1) engagement as a seamen; (2) that the injury or illness occurred, manifest, or was aggravated in the service of the vessel; and (3) the expenditures the seaman requires for support during the recovery period. Although your employer may have a provision in the employment contract that provides for the amount of maintenance payments in the event of your injury or illness, you may be able to establish a higher rate if your actual expenses exceed the contracted maintenance rate. You are entitled to maintenance payments until you reach the point of maximum medical cure or the point at which your doctor determines that no further treatment will improve your health. Rates of maintenance vary widely and depend on the actual expenses of the seaman while on land recovering from an injury. Maritime employers are also responsible for paying the medical expenses of a seaman injured or who becomes ill while in the service of the vessel. The employer’s responsibility for payment of medical cure continues until the point when the seaman reaches maximum medial recovery from the illness or injury at work. In some cases, this may include expensive treatments for heart conditions and even cancer. You have a right to select your own doctors and should be wary of any attempts by the company to send you to doctors they select. If you have questions about your right to medical cure benefits, contact our office for a free consultation. Unearned wages are the wages you would have earned through the end of your pay period, contract, or fishing seaman had you not been injured. Unearned wages should include hourly compensation, any bonuses you would have earned, and payment of your normal fringe benefits like health and disability insurance. Under general maritime law, a maritime employer or shipowner can be liable for punitive damages for wrongful failure to pay maintenance and cure benefits. Did you employer refuse to pay maintenance and cure benefits? Did they fail to conduct an adequate investigation in your right to benefits? If so, you may be able to assert a claim for punitive damages against your employer for their wrongful conduct. 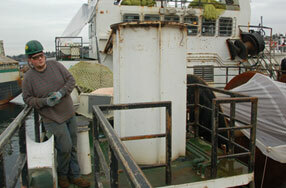 What Other Benefits are Available to Injured Seamen and Fishermen? In addition to maintenance, cure, and unearned wages, a seaman or fishermen may be able to collect substantial compensation for pain, disability, loss of enjoyment of life, lost wages, economic losses, and other damages under the Jones Act and general maritime law. In order to qualify for these benefits, you will need to consult with an experienced maritime injury lawyer who can listen to the specific facts of your case and help you understand whether an unsafe condition, negligence, or defective equipment played a role in your injury. Our award-winning maintenance and cure lawyers are available for a free consultation regarding your right to maintenance, cure, unearned wages, and damages under the Jones Act and general maritime law. We accept most cases on contingent fee, which means that you don’t pay any attorneys’ fees unless we are successful in making a financial recovery for you.